The Ronan Airport Master Plan addresses needed runway repairs. A few folks comment about the possible airport expansion project at the meeting. RONAN – The Ronan Airport is currently undergoing a study to determine how to proceed with long-term development plans. Chairman of the Airport Board Rick Newman said an expansion might not happen if the general public doesn’t support the project. 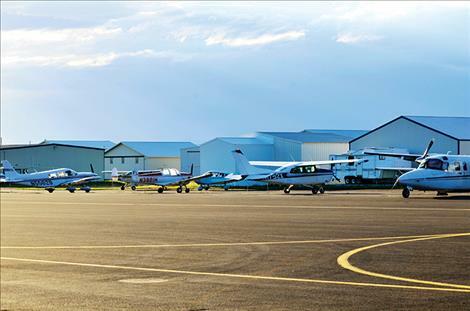 The airport board considered expanding the Polson airport and the St. Ignatius Airport and concluded that the Ronan airport has the most available surrounding space for expansion. The Ronan airport is part of a federal network of airports to ensure that airplanes can take off and land, including emergency aircraft, which is why 90 percent of the funding for an improvement project would come from federal funding. Ten percent would come from local tax. To secure funding, the project needs public support. 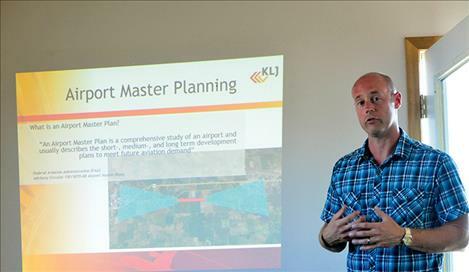 KLJ Engineering Firm Aviation Project Manager Ben Mello is tasked with the research, development, and coordination of the expansion project. Mello held a meeting at the airport to help inform the public about the project. The meeting was sparsely attended, which is typical in the beginning phases, he said. He is collecting public input needed for the project and said people can deliver comments directly to the airport or email him at ben.mello@kljeng.com until the official website for the project is up and running. The expansion and improvement project is in a research phase. The amount of development will depend on the amount of funding that can be procured. Several project issues have been outlined including the need for runway expansion, maintenance, and storage space demands. An Airport Master Plan is also now required for every airport in the federal system. The plan provides guidelines to meet aviation demands. “The FAA requires that all airports within the federal system have an airport master plan and that it is updated every seven-to-10 years,” he said. The study is currently attempting to justify the need for expanding the runway length so larger planes can land and take off at the airport. An independent assessment by a wildlife biologist will determine the impact of an expansion on the wildlife population surrounding the airport. “We will be looking into everything as we move forward with this,” Mello said. The study is also considering the airport’s ability to support Tribal Firebase plans like the CL215, the demand for more hangars, and instrument approach and departure. Existing facilities at the airport are being documented as a benchmark for planned development, discussion with the Confederated Salish and Kootenai Tribes concerning surrounding lands are in the works, an environmental overview and solid waste management plan is being developed along with a forecast to consider future use, and a cultural inventory is being taken. “We are looking at culturally sensitive areas around the airport,” he said. 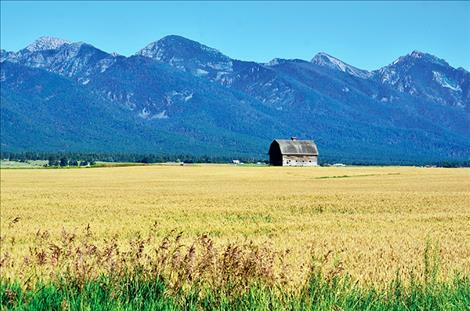 One of those sites includes a historic barn that was noted as possibly the most photographed barn in Montana. The Silver Fox Golf Course is also being considered. Pilot Mauri Morin managed the airport for many years in the past and he continues to be interested in its development. He believes the airport needs to expand to support growth in the county. 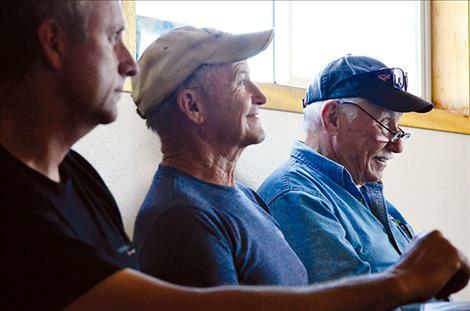 “If we are going to make Polson a destination place, we have to have a bigger airport,” he said. 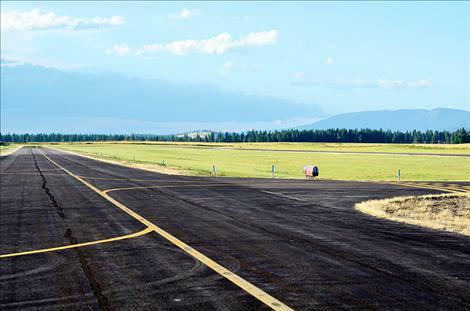 Towns like Missoula and Kalispell have larger airports that many tourists utilize. The research phase is projected to continue through 2017. Public comment will be used to help develop the plans.